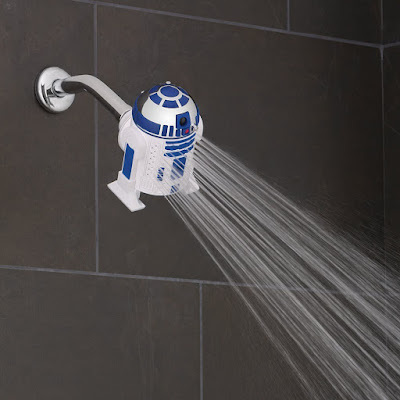 Collection of 'Best Starwars Inspired Products' from all over the world for you. 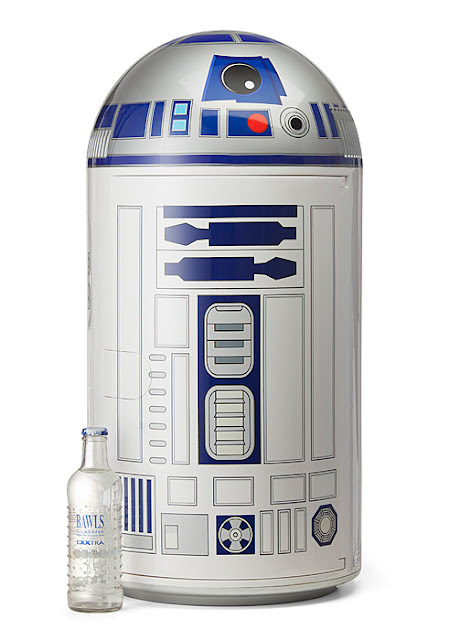 Starwars R2-D2 Fridge: The Starwars R2-D2 14 liter fridge holds up to 16 cans of soda, comes with settings for keeping food warm and cool. It comes equipped with two removable shelves and plenty of space to store. You can power it by standard 120V or even a 12V DC power source. Buy Now: $119.99. 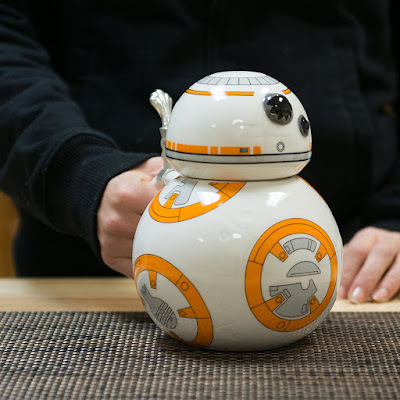 Starwars BB-8 Ceramic Cup: The BB-8 ceramic cup features metal hinge and holds 22 ounces of your favorite beverage. Buy Now: $38.99. Starwars R2-D2 Shower Head: The Starwars R2-D2 shower head is here to give you 3 powerful spray settings with patented Oxygenics technology rinse and clean fast. It features efficient design reduces water usage without limiting power. Buy Now: $17.80. 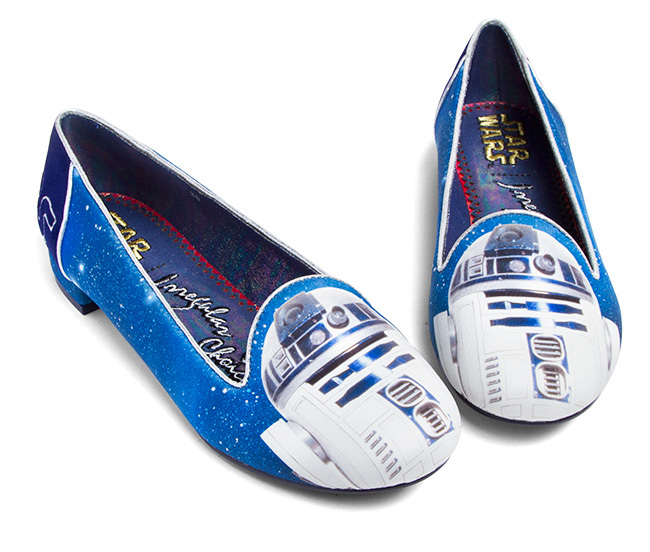 Starwars R2-D2 Flats: The limited edition Starwars R2-D2 flats feature Artoo on the toe, and superimposed over a starfield pattern that extends all over the outside. Buy Now: $158.99. Starwars R2-D2 USB 3.0 Recharging Hub: The Starwars R2-D2 USB 3.0 recharging hub features 4 USB 3.0 ports in the front, it lights up and beeps and whistles when you plug him in or tap him on the head. Buy Now: $59.99. Starwars Millennium Falcon Multi-Tool: The Starwars Millennium Falcon multi-tool comes with 4 hexkeys, two screwdrivers, and an adjustable wrench. 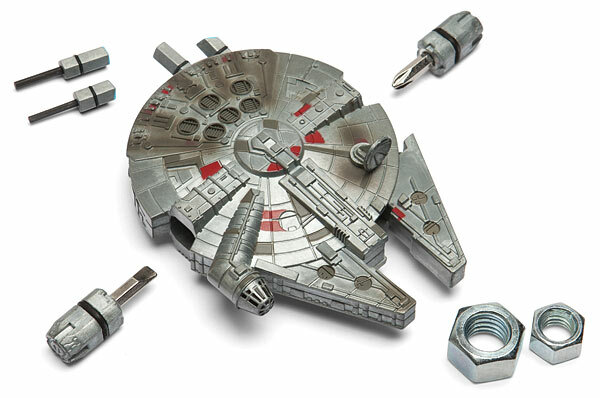 The screwdrivers and hexkeys are stored inside the Falcon. Buy Now: $29.99. 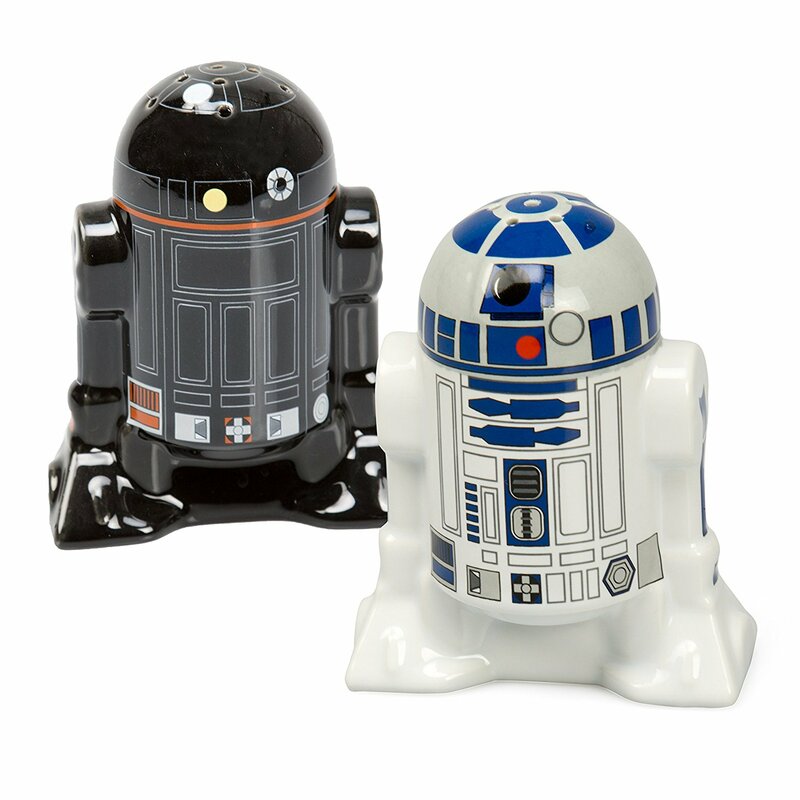 Starwars Salt and Pepper Shakers: The Starwars salt and pepper shakers R2D2 and R2Q5 are here for adding little spice to your food and life. 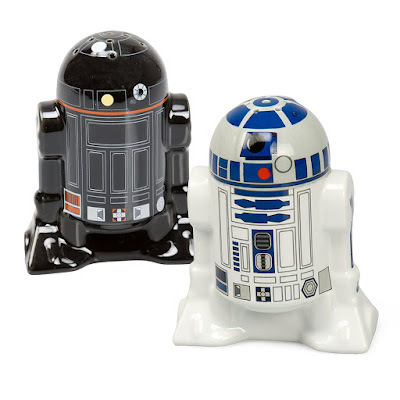 Use R2-D2 for salt and R2-Q5 for pepper. Buy Now: $15.51. 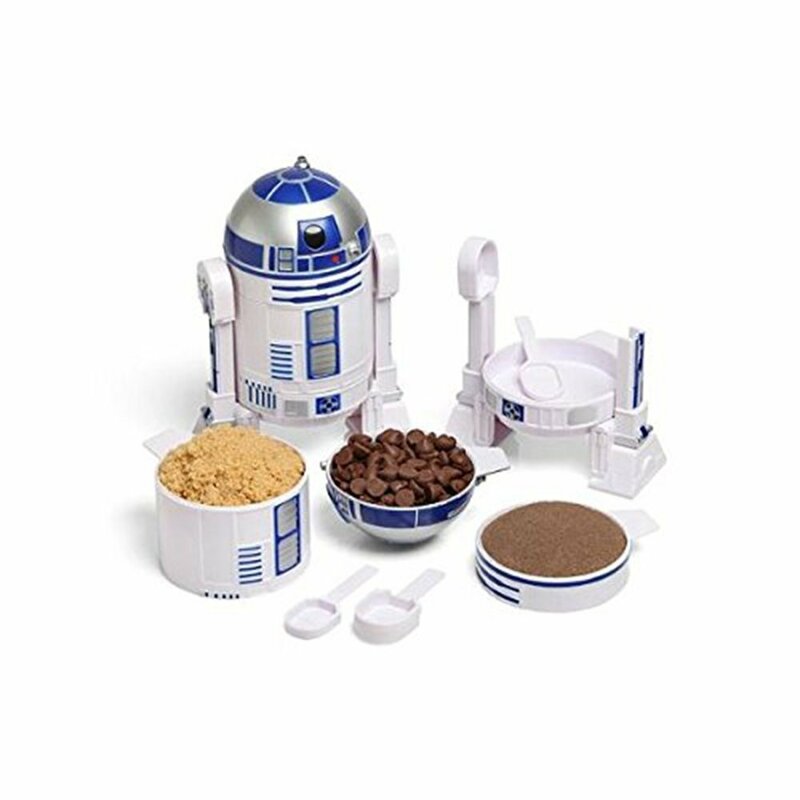 Starwars R2-D2 Measuring Cup Set: The Starwars R2-D2 measuring cup set gives you 4 measuring cups plus 4 measuring spoons. 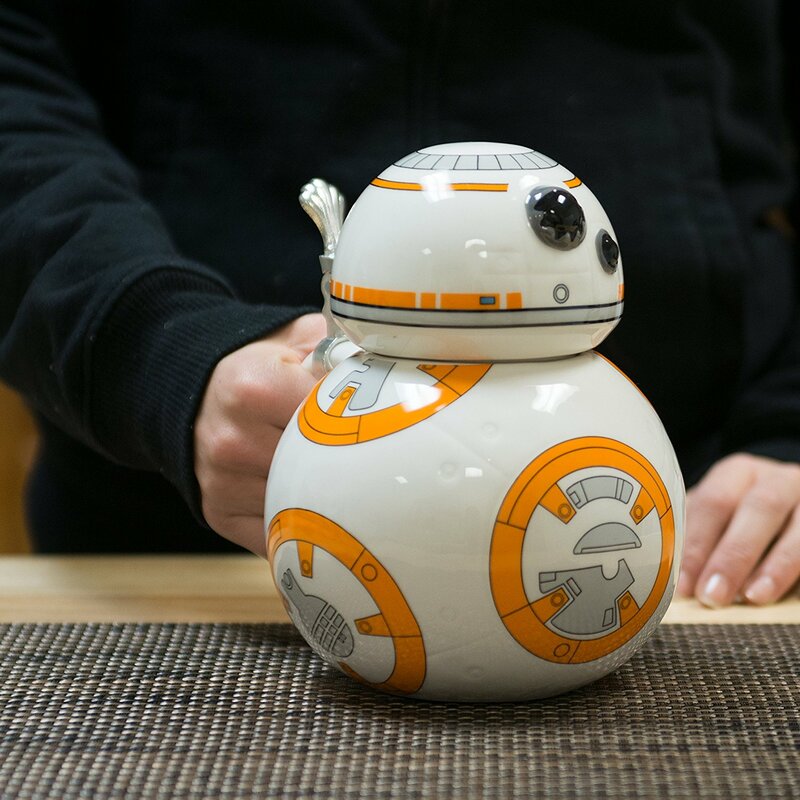 It disassembles to give you measuring cups and spoons and reassembles in a minute. Buy Now: $26.99. 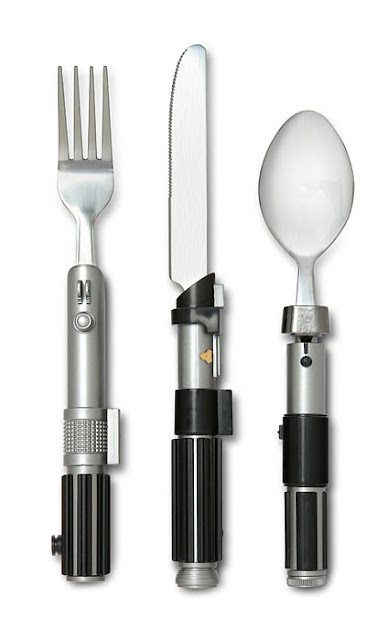 Starwars Flatware Set: The Starwars flatware set consists of set of 3 utensils and lets you make your every meal a little bit more civilized. Buy Now: $4.99. Starwars R2-D2 Thermos Funtainer: Starwars R2-D2 thermos funtainer is a push button straw bottle that features durable stainless steel interior and exterior, double wall vacuum insulation that keeps beverages cool for 12 hours. Buy Now: $13.97. Starwars Popcorn Maker: The Starwars popcorn maker uses air instead of oil to make popcorn for you. 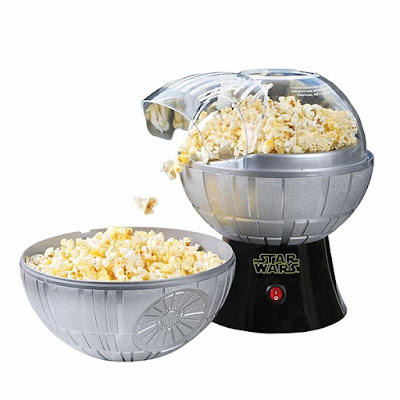 This 1100 watts popcorn maker doubles as a bowl. Buy Now: $49.99. 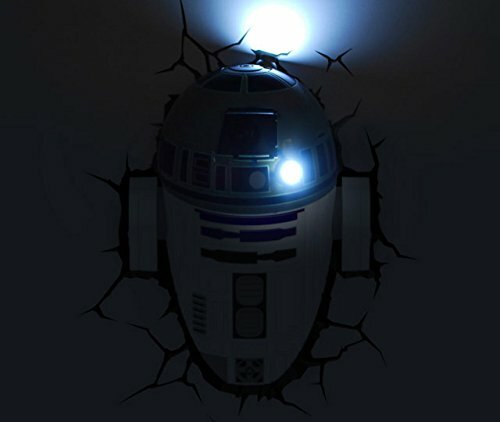 Starwars R2-D2 3D Deco Light: The Starwars R2-D2 3D deco light is sure to look cool on any wall of your home. Buy Now: $57.98. 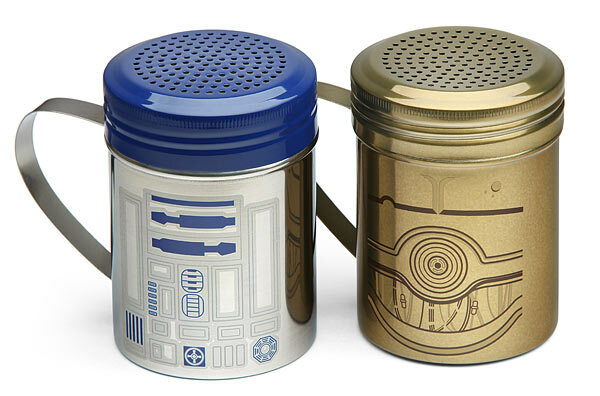 Starwars R2-D2 and C-3PO Spiceshaker Set: The Starwars R2-D2 and C-3PO spiceshaker set is here to accept your kitchen seasonings of choice. 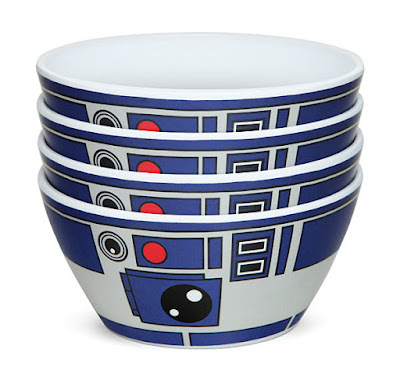 Each unit can hold approximately 1 cup. Buy Now: $19.99. Starwars R2-D2 Bowls: The Starwars R2-D2 bowls is a set of 4 melamine bowls that look like R2-D2. Each of these bowls can hold around 18 fl. oz. Buy Now: $19.99. 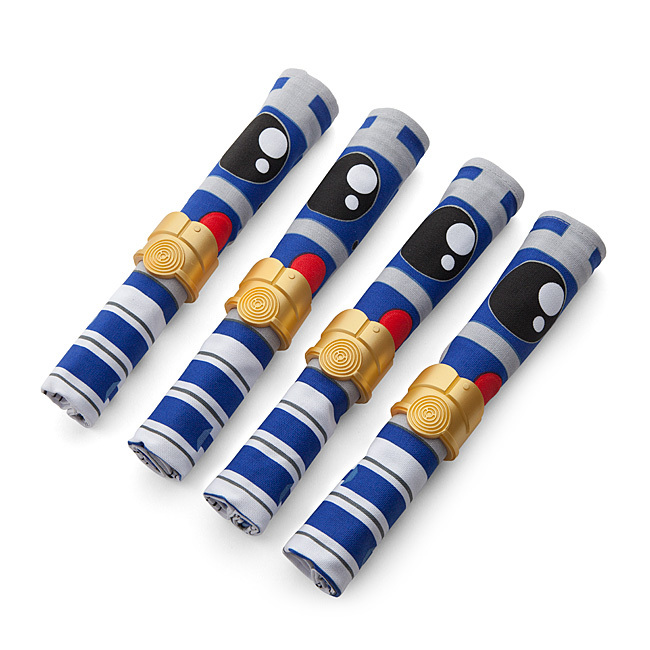 Starwars R2-D2 Napkin and C-3PO Napkin Ring Set: The Starwars R2-D2 napkin and C-3PO napkin ring set consists of 4 R2-D2 napkins and 4 C-3PO napkin rings. Buy Now: $19.99.